Story Setting: Scotland, Wales, 1288 A.D.
Big and burly, with a crown of vibrant red hair, as the son of the chief of Clan Munro, Jamison’s path in life was more unconventional than those of his clansmen. Fostered in England and France, Jamison learned the ways of his adversaries before returning home to take his place at his father’s side. But his father is a progressive thinker, knowing that in order to survive, his clan must become allies with the English. He knows that isolation will only bring destruction to his clan. Willem Munro has traveled the world, much like his son, and has made friends along the way. When his English friends to the south call upon him to help in their battle with the Welsh, Willem sends his only son. Now, Jamison finds himself living with the English again as they do battle against the Welsh. Although highly trained in English tactics, and having many English friends, he cannot give himself over 100% to their ways. He sympathizes with the Welsh even as he plans battles against them. Outwardly supporting the English, he is nonetheless torn. When the call goes out to defend Four Crosses Castle against a Welsh attack, Jamison rides to the siege and finds himself caught up in a nasty battle. With the gatehouse breached, he charges in to defend the occupants only to be attacked by one occupant in particular. What he first believes to be a small and slender knight, he soon finds out to be someone else. He is met with ferocity by a skilled lady warrior. Lady Havilland de Llion is the daughter of the lord of Four Crosses Castle. Part-Welsh, her family is nonetheless loyal to the English and to de Lohr. When she sees the big Scotsman, she assumes he is siding with the Welsh and goes after him with a vengeance. Even upon discovering his loyalties, she doesn’t believe him and their fight goes on long after the battle itself is finished. But soon enough, the contention between them turns to something else. Politics, battles, loyalties, and roaring passions play out in a story of high emotion and high adventure. To the big Scots knight known as The Red Lion, nearly everything in his life has come at a price, but in the battle for Havilland’s affections, there is no price that he will not pay. My Thoughts: A story from Kathryn Le Veque, narrated by Brad Wills, is not just a story narrated, dear reader. It is an experience. Your senses liven. You will thrill to the moment, the smell of the surroundings, the palpable danger and fear, the richly characterized players. Frankly put, Brad Wills is my go-to narrator. It’s obvious he quite successful. Please take a moment to read his biography below. I read The Red Lion four months past. This review discusses both book content and production. However, principally, this review is my thoughts on the production of this marvelous story. As I listened, I picked up on certain humor I’d missed on the first go-around. Where I hadn’t chuckled with the read, I did with the listen. With the read, I’d missed the absolute marvel of how over-the-top hysterical Havilland can become, what force and ferocious determination emanates from her second sister, Madeleine. The scene when Madeleine meets with her neighbor is quite astounding. I crept up close to what was happening, hid behind the bush with Jamison Munro and heard it all. And reacted much as Munro had. Another scene which totally flew off any page of writing, is Madeleine’s rendition of the truth as she tells her younger sister, Amaline, what Sir Jamison did to her lover. The voice of the serving woman, loyal to Havilland’s family, is brilliant. I see her very clearly – such an old crone, stooped with age, hands knurled with years of work. And now a bit on the story. Jamison Munro is part of The Lions of the Highland. He, along with Beaux, Kendrick and Caspian are sons of clan chiefs and each will have their own story in this new series. Jamison is sent back to England, where he fostered by his father, for protection against the MacKenzies, who are out to get rid of him. He is back with the de Lohr men. If you’ve read any of this author’s work, you will be familiar with this lot. They are a rare breed among men. While there, he is caught up with the Welsh who, like most Scottish, do not tolerate them on land they consider theirs. The de Llion sisters, half English, half Welsh have my admiration. They were dealt a hard hand. Their father had been mentally ill for some time. They simply hid this fact. All three sisters, Havilland, Madeline, and Amaline, are warriors, made so by their father. He had no sons, so his daughters were his sons. His decision shaped the lives of his daughters until they knew nothing else except battles and protecting Four Crosses Castle against their enemies – the Welsh. The castle and its occupants had all sided with the English. Havilland is the stronger of the lot, Madeline, fiercely protective of her sister, however, Madeline has her own secrets and wishes for the keep, only complicating Havilland’s need to safeguard her family’s home. Amaline, age 15, is very sensitive to both her sisters’ wishes, although she knows Madeline has a nasty streak in her, as you will discover in the story. Jamison is a man of strength, both physical and morally. When he meets the de Llion sisters, he is captivated by Havilland. Here is a woman he could respect, and yes, could love, if only she wouldn’t send a dagger his way first! I more than recommend this new series for readers who haven’t had enough of the highlands, love excitement of a good battle, both in love and war, and who like their reads demanding their attention in all directions. Nothing is ever easy in the land of Kathryn Le Veque. My last thought I wish to share is I would listen to this story, again, in a heartbeat. When I wish to read the book again, Wills’ voice will haunt each page. So much emotion, distrust, anger, and eventually, trust, love and happiness. It will sate your every emotion! Narrator Brad Wills: Wills has been narrating audiobooks since 2012, specializing in Historical Romance, with occasional forays into Historical Adventure, Gothic Horror, and Existential Literature. A vocal chameleon, Brad has been called upon to portray dashing knights and Highlanders, troubled heroes, women both strong and emotionally scarred, children, the elderly, heinous villains, obtuse morons, drunkards, and chickens. He’s even been known to croon his original tunes set to an author’s lyrics. He has long-standing partnerships with noted Romance authors Suzan Tisdale and Kathryn Le Veque, and gains new fans every day. Before diving into the realm of audiobook narration, Brad spent 20 years in New York as an actor/singer. His credits include the 20th Anniversary Broadway revival of ANNIE, touring with MAMMA MIA! and THE WIZARD OF OZ, and numerous regional productions. As a singer, Brad made appearances in several cabaret shows, and sang with the á capella jazz octet Pieces of 8, with whom he recorded the album FALLING TOGETHER. He was also featured on the Grammy-nominated (Best Opera Recording, 2004) studio recording of composer Edward Thomas’ operatic adaptation of DESIRE UNDER THE ELMS. 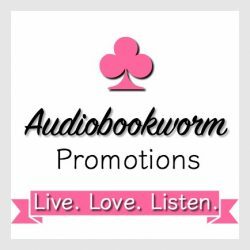 This entry was posted in Audiobook, Audiobook Review, Highland Romance, Highland Stories, Historical Fiction, Historical Romance, New Book Release, Romance and tagged Audiobook Review, Brad Wills, historical romance, Kathryn Le Veque. Bookmark the permalink. 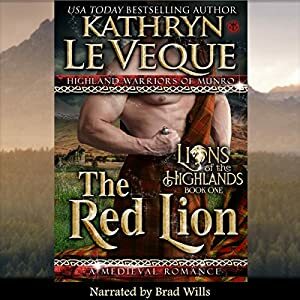 1 Response to Audiobook Review: THE RED LION by Kathryn Le Veque, narrated by Brad Wills ~ simply glorious!